Fortnite Save the World has a communication problem. At its core, Epic Games’ title – which will be free-to-play later in 2018, but currently requires you to pay for Early Access on PC, PS4 and Xbox One – is an ebullient third-person shooter with crafting, survival and tower-defense elements. Sounds good, right? You”d expect that from the team that created Gears of War. Regrettably, there’s a catch. All of Fortnite Save the World’s juicy co-operative gameplay is obscured beneath a messy spaghetti bowl of menus, systems and meta-game features that are poorly explained by a handful of half-baked tutorials. 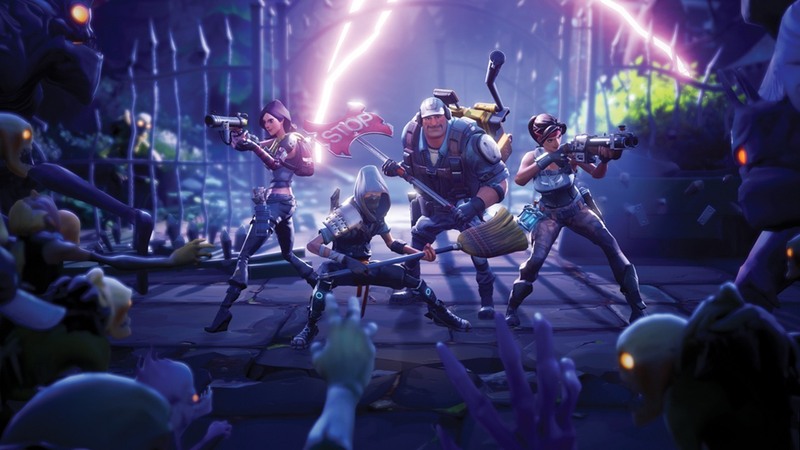 If you bought Fortnite Save the World with the simple intention of shooting some zombies and building cool fortresses with friends, this tidal wave of clutter can subsequently act as a major put-off. But all is not lost. After spending a fair amount of time with the game, I’ve jotted down a few simple tips and tricks in order to help you cut through the noise and get to the good stuff more quickly (the good stuff being headshots, explosions and turning scrap into elaborate strongholds of death). Looking for help with Fortnite”s free 100 player Battle Royale PvP mode? Then make sure you check out our Fortnite tips. Is Fornite free-to-play? What”s the best entry package? Guess what? It turns out that even buying the game arrives with some complications. Epic intends to eventually release Fortnite as a free-to-play title, but enjoying it in early access form currently requires an up-front fee. There’s a range of different packages on offer, but I strongly suggest getting the most basic one; the standard founder’s pack. While it’s tempting to invest in all the bonuses included with the deluxe option, doing so will result in you being bombarded with a tidal wave of items before even being taught how to use them. With the founder’s pack, you’ll still have what you need to survive, but rewards are dished out at a more gradual rate, giving you the space to familiarise yourself with Fortnite’s different item types without being overwhelmed. Clearly not content with the regular ol’ loot box as a means of player progression in Fortnite, Epic’s take on the popular free-to-play mechanic comes in the form of llama piñatas, acquired through levelling up or with real, and in-game, currency. Whacking a pinata brings the promise of new items bursting forth from within its papier-mâché exterior, but there’s more to it than the press of a button. If you hit a llama and it turns silver, the potential rarity of its contents is significantly upped. If it turns gold when whacked again, that’s when you’ve really hit the jackpot. A gold piñata is guaranteed to contain a veritable bounty of items, including extremely rare goodies like new heroes or powerful weapons. So, let’s talk about your armoury. Any hero can use any weapon type, but the weapons themselves can be upgraded, recycled and valued on the basis of their rarity. Fortnite is a crafting game, so your weapons won’t last forever, and will eventually break once their durability runs out. The most sensible course of action is to recycle a low durability weapon for parts, before it breaks and completely disappears for good. If you’re a big fan of a particular weapon, don’t worry. Weapon schematics are a regular drop from piñatas, and these let you craft particular weapons as much as you want, providing you have enough resources. Running out of ammo? You can craft that too. Just hold square while in-game and you can conjure up a decent amount of bullets in no time. Fortnite’s most egregious, needless meta-game feels more like a chore than a good time, but it”s an effective way to hold an edge against the undead nonetheless. As you progress, you’ll pick up survivors in the form of piñata drops, each of whom will possess different stats and characteristics. These guys can be deployed into your survivor squad, and doing so will buff your main character with 20% worth of their stats, in addition to providing certain support and tactical bonuses. Then there’s defender squads and expedition squads, the former of which will place AI guards to protect your home base while the latter allows you to send out survivors to gather resources and level them up. If managed correctly, survivors are a valuable means of boosting your character, base and inventory in Fortnite, so try not to ignore them. When you first open up the perks menu, the elaborate network of trees and tiers is enough to warrant a zombie moan of despair. Stay calm; it’s not as bad as it looks. The four tiers at the top are for levelling up specific hero classes, and each tier tree intentionally branches out to allow you to specialize with any particular class. As for the research tiers, these can be used to improve more general things like health or offense stats. It’s poorly designed, and it looks a lot messier than it should, but treat Fortnite’s skill trees like you would any other and you should get the hang of it after a while. As is the way with free-to-play games, it’s likely that you’ll come across the same item twice when smashing all those llama pinatas in Fortnite, be it a survivor, weapon schematic or anything else. Instead of letting the unused items just sit there, Fortnite allows you to place them permanently in the collection book – a sort of digital sticker book where you can leisurely pore over all your accumulated wares. Every item placed in the collection gives you XP, but once it”s in there, you can’t ever get it back. The book therefore represents a smart means of inventory management, allowing you to get rid of any duplicates while earning a decent wad of experience points along the way. Once you’ve emerged from its tangled labyrinth of menus, Fortnite’s ‘gather, craft, shoot’ gameplay loop finally has the opportunity to work its magic. The gunplay feels sleek and precise (not a huge shock, considering this is the studio that gave us Gears of War), and the richly coloured visuals are instantly eye-pleasing, even if the game isn’t looking to compete with other triple-A powerhouses when it comes to graphics. Crafting, too, is fairly intuitive once you’ve had the chance to mess around with it. You can pop in and out of build mode whenever you fancy, and can easily set up traps, insert doorways or switch materials on the fly (though console players will be slightly more handicapped without a mouse and keyboard to help them out). That’s the best and worst thing you can say about Fortnite. Underneath all the clutter, a genuinely fun and addictive gameplay experience beckons. Whether the entertainment value of that core idea is worth wading through said clutter depends on your patience as a player, but Fortnite’s early access status at least presents the opportunity for Epic to improve upon a muddled but promising foundation.